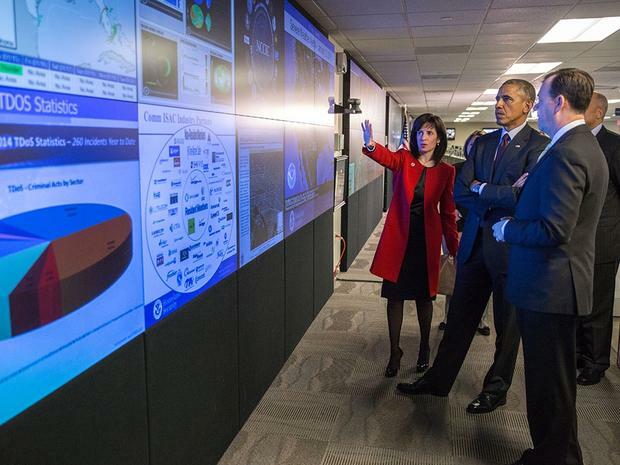 The Obama administration is seeking a $5 billion funding increase for cybersecurity for the fiscal year 2017. Here’s why it matters. US President Barack Obama recently laid out his budget proposal for the 2017 fiscal year and it included $19 billion for cybersecurity initiatives within the government itself. This marks an increase of $5 billion, or 36%, from the prior budget. The commission will be made up of non-government thought leaders who’ll have the job of “making detailed recommendations on actions that can be taken over the next decade to enhance cybersecurity awareness and protections throughout the private sector and at all levels of government, to protect privacy, to maintain public safety and economic and national security, and to empower Americans to take better control of their digital security,” according to a White House press release. The CNAP also puts aside $3.1 billion for modernization of IT throughout government agencies, and $62 million will be allotted for grants and scholarships to help interested citizens learn the necessary skills to become a cybersecurity expert. And, it will bolster student loan forgiveness for cybersecurity experts who join the federal workforce. Another part of that modernization fund will be the formation of a new position in the government: Federal Chief Information Security Officer. The news comes just hours after a purported hack of the FBI and Department of Homeland Security (DHS). In this attack, data was leaked on some 20,000 FBI employees and 9,000 DHS employees. Last year, the Office of Personnel Management faced similar challenges when it experienced a hack that leaked information on 22 million people. Additionally, just a few days ago, the US Government Accountability Office (GAO) called out the DHS’s $5.7 billion cyber-defense system, Einstein, as being ineffective. Cybersecurity has played a key role in the upcoming presidential election, with some candidates going as far as publishing cybersecurity plans on their websites, and others publicly calling out perceived failings of the US government to take action against potential threats. The CNAP also addresses cybersecurity for citizens in encouraging them to move beyond a simple password and consider multi-factor authentication to protect their personal information. To protect government services that are citizen-facing, the plan will ramp up strong multi-factor authentication and identity proofing in those particular services as well. While the $19 billion budget has been set forth, it still has to be approved by the US Congress before it can go into effect. The Obama administration is proposing a 36% increase in cybersecurity funding for the 2017 budget. That could mean more jobs for cybersecurity analysts or more opportunities for government contractors to help cybersecurity modernization efforts. The Cybersecurity National Action Plan (CNAP) includes funding for the training of cybersecurity professionals, and potential loan forgiveness for those who wish to pursue that career in a federal government job. One of the budget proposals also includes funding for the first ever Federal Chief Information Security Officer, which would help justify the CISO title and have a trickle down effect on other government agencies as well as the private sector.